Wherever you live, whatever your lifestyle, there's an AGA to fit your home. Whether it slots neatly between existing kitchen units, against a wall or within a kitchen island, these days an AGA is all about versatility. Choose between two, three or four ovens and the fuel source to suit you most, gas, electricity or oil. 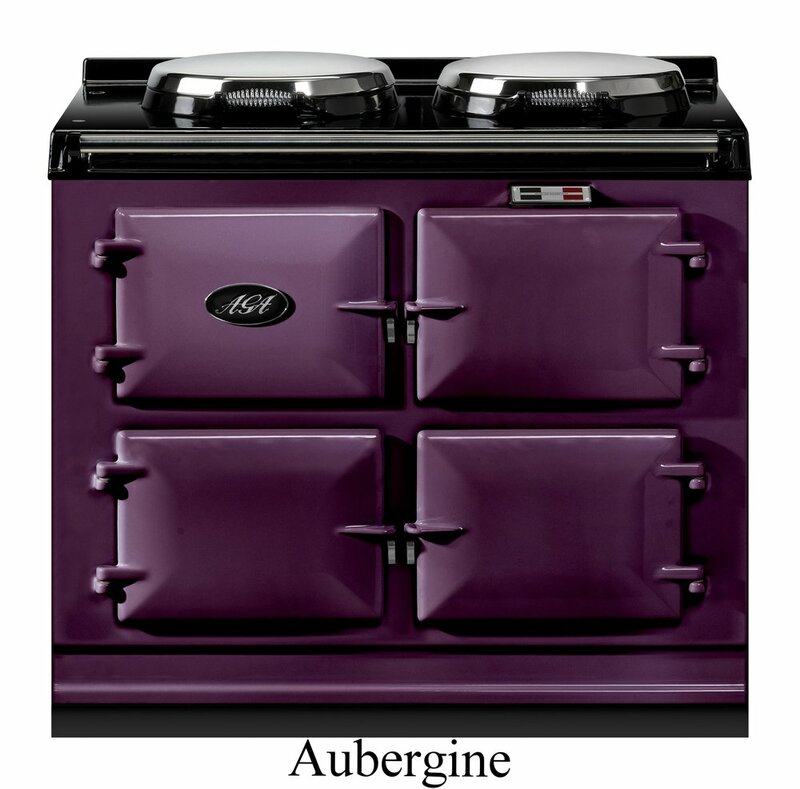 What's more, every AGA is available in 11 colours. However, it's the unique way that an AGA cooks that is the real story behind the legend. Anyone who owns one knows how food tastes better from an AGA. That's because AGA cast iron ovens use indirect radiant heat, so food cooks gently, doesn't dry out and retains its natural goodness and flavour. 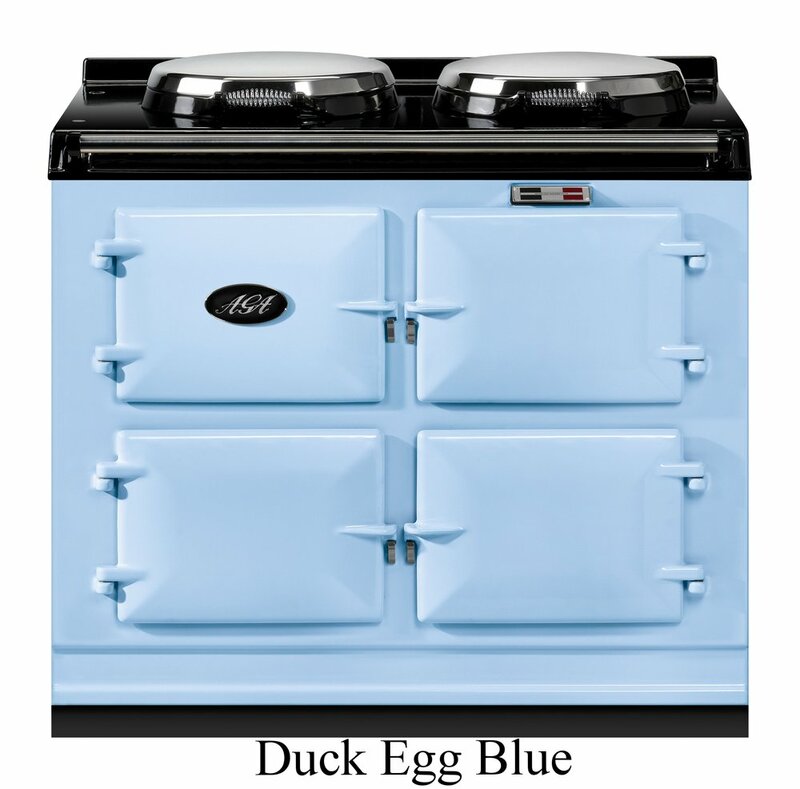 Beneath the classic looks of every traditional AGA is a heart of cast iron: the entire cooker is an outstandingly efficient energy store, steadily transferring the heat from its core into the ovens and hotplates. It utilises a gentle process, which preserves your foods moisture, flavour, texture and nutrients. A traditional AGA is always ready to cook, instantly, and as there are no switches and dials required when cooking, the AGA automatically looks after itself. Put simply the traditional AGA is an extremely easy way to cook and that's one of the main reasons why people who have an AGA wouldn't use anything else. Flue - available in Standard Flue or Powerflue (Powerflue not available with Oil)). Fuel - available in Natural Gas, LP Gas, Oil, 13amp electric and 30amp Electric. No flue required for an Electric AGA, just an oven vent. If you are interested in knowing more about AGA cookers why not attend one of our demonstration held in our Showroom. AGA demonstrations are perfect for potential owners as they give a great insight into what AGA's are all about. For more information visit our Events & Demonstrations page or contact us. Every AGA cast iron range cooker comes with a roasting oven and a simmering oven, a simmering plate and a boiling plate, each is always ready at the optimum for each type of cooking. It's the cast iron that makes this possible. It allows every AGA range cooker to store heat and steadily radiate it through the ovens and hotplates. Each cooking zone is at a pre-set heat for ease, convenience and stress-free use. Radiating the heat from all of the cast iron oven surfaces simultaneously also ensures a kinder cooking process, unlike the fiercer direct heat of conventional cookers. Finally the high level of insulation within the outer casting and each hotplate lid ensures fuel is used wisely and economically. View this video to learn more about how the iconic AGA cooker works. At just under a metre wide, it's more compact than people imagine. The 2 Oven AGA houses the classic hotplate and oven arrangement that has inspired people to cook effortlessly for generations. The high heat of the left hand hotplate ensures that it will boil water faster than most electric kettles, while the right hand simmering plate provides a more gentle heat, ideal for sauces, amazing toasted sandwiches and even the ability to cook a healthy “fried” egg! The top right-hand oven roasts, grills and bakes, and can accommodate anything as large a 28lb / 13kg turkey. At the bottom right is the Simmering Oven, where casseroles and vegetables can be left to improve while you focus on other tasks. With the same external dimensions as the 2-Oven AGA but with 50% more oven space it's not difficult to see why this AGA is now most peoples first choice in the range. With the addition of a specific baking oven, along with all the features of the 2-Oven, the 3-Oven AGA breaks the mould. You'll find the baking oven on the bottom left of the 3-oven AGA cooker, constantly at the ideal moderate heat required to bake to perfection. It makes preparing a hearty family meal an absolute joy; while dinner is gently cooking away in your simmering or roasting oven, simply slide a delicious dessert into the baking oven. A 4-oven AGA cooker is an indispensable helping hand in a busy kitchen, allowing you to multi-task with the minimum of effort. As well as the simmering and boiling plates that come as standard with all models, another useful feature of the 4-oven AGA is the choice of either a warming plate or a hob. The warming plate is useful to serve from, while the hob provides you with even more cooking options. A two ring hob can be specified as either gas or electric ceramic. Whether integrated or freestanding, the AGA Module offers a range of conventional cooking options including a Fan Oven, a Slow Oven with integral grill, and a 4 ring gas or electric hob. Retaining the solid cast iron front and top plate of a traditional heat storage AGA, the Module extends the versatility of your cooker and is available for use when the main AGA is off, or for additional cooking when it's on. 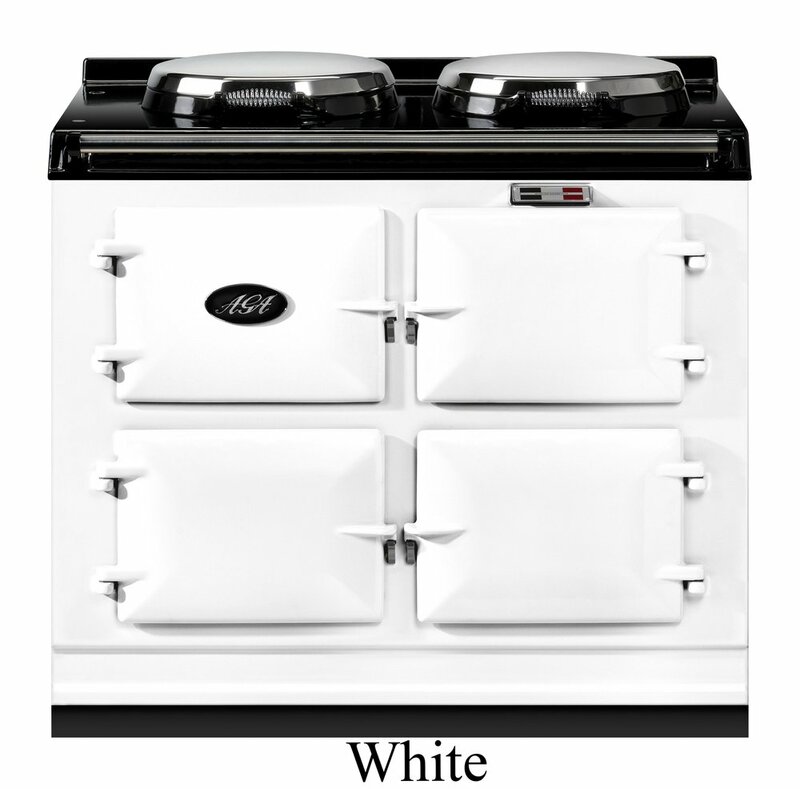 When ordering a 4-Oven AGA you have the option to replace the warming plate with a two-ring gas or electric hob. These are priced additionally to the main AGA. The electric hob is also available as a retro-fit on most existing 4-Oven cookers.